Until the 1930’s breastfeeding was almost universally practiced. At that time, infant formula made from modified cow milk was developed and became a symbol of an affluent society. This led to a dramatic decline in breastfeeding. 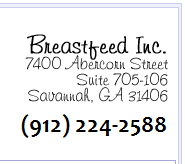 Since the 1960’s, studies have repeatedly proven the benefits of breastfeeding and the superiority of human milk. 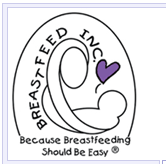 With the support of the medical profession and parents alike, breastfeeding has enjoyed a resurgence to once again become the preferred infant feeding method. Why is human milk the best choice? Do women have to have large breasts to breastfeed? Are breastfeeding parents more apt to be confined at home? How do I position my baby at the breast? Does jaundice have to affect breastfeeding? How can breastfeeding help the premature baby?